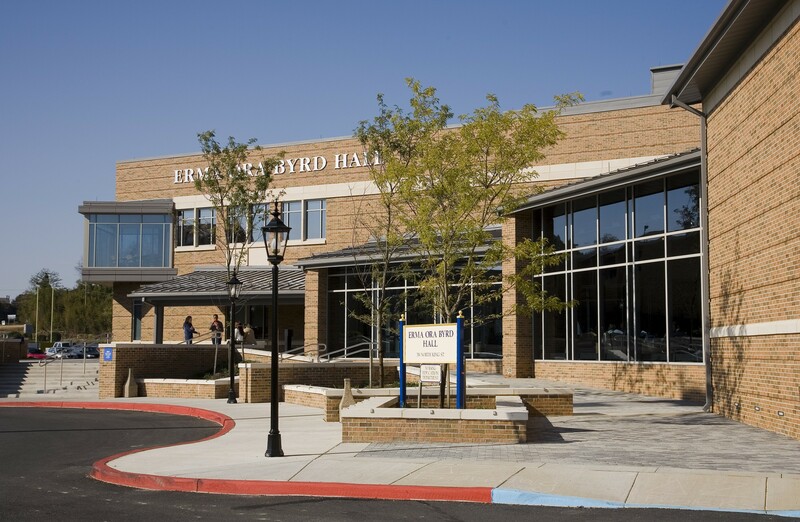 This $10 million, 35,000 SF instructional building is technology-rich to support an ever-changing instructional environment. 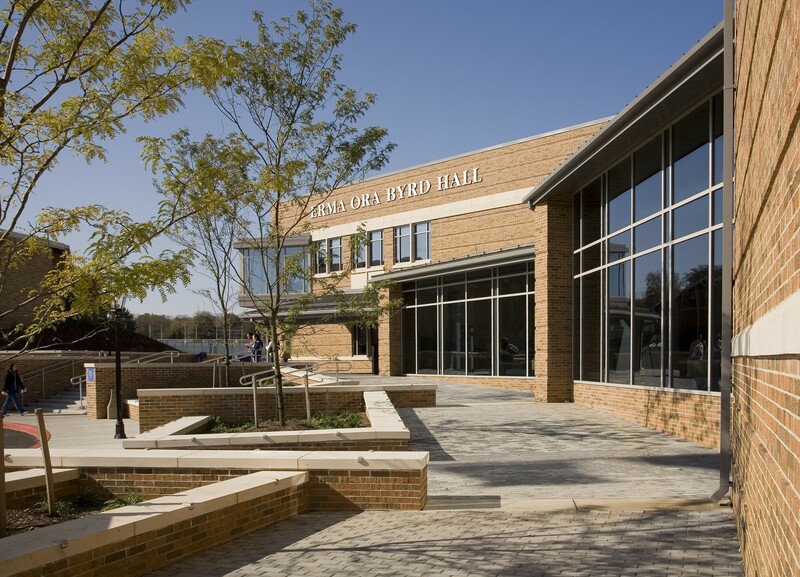 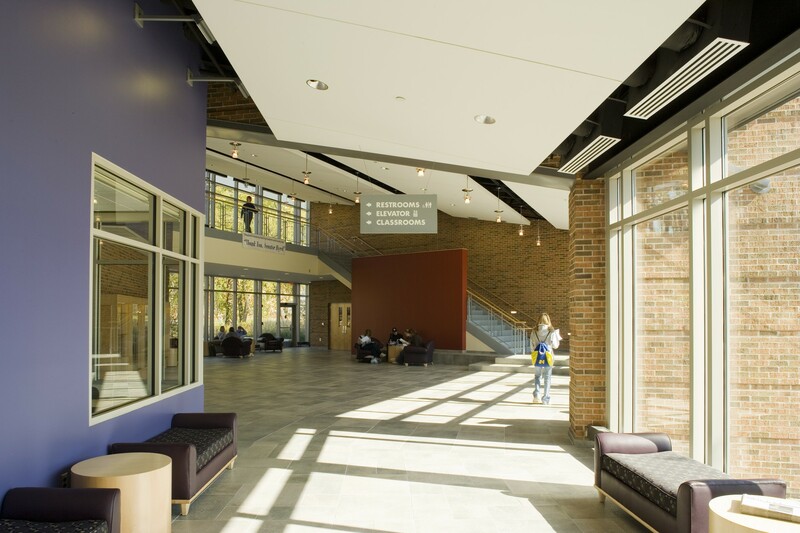 Design Collective completed the programming and design of a new academic facility at Shepherd University to accommodate its growing undergraduate nursing program. 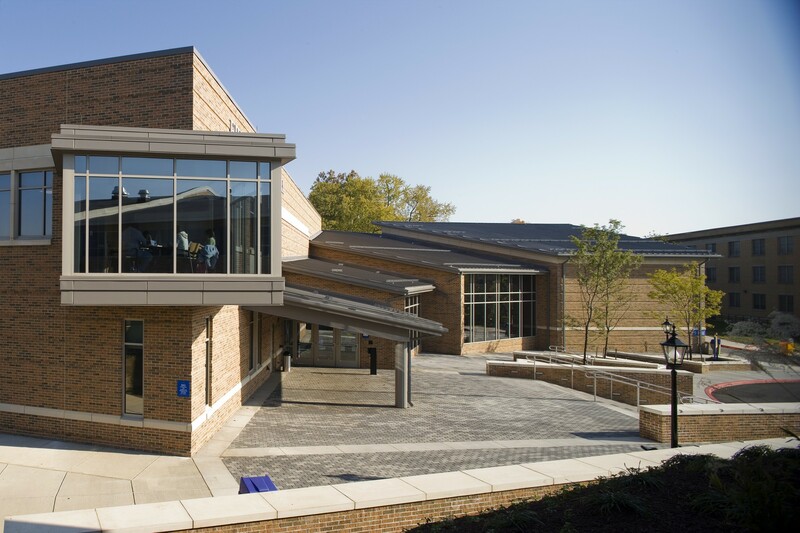 This $10 million, 35,000 SF instructional building is technology-rich to support an ever-changing instructional environment. 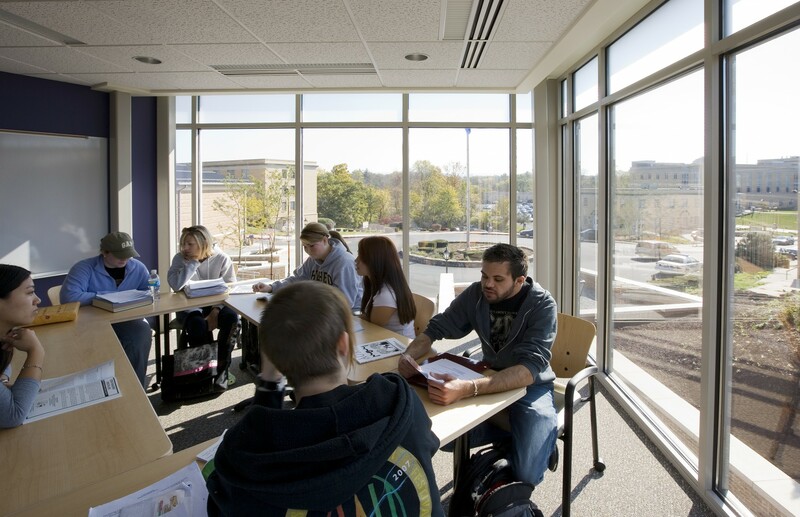 The facility also provides adequate expansion space for a future master’s degree program. 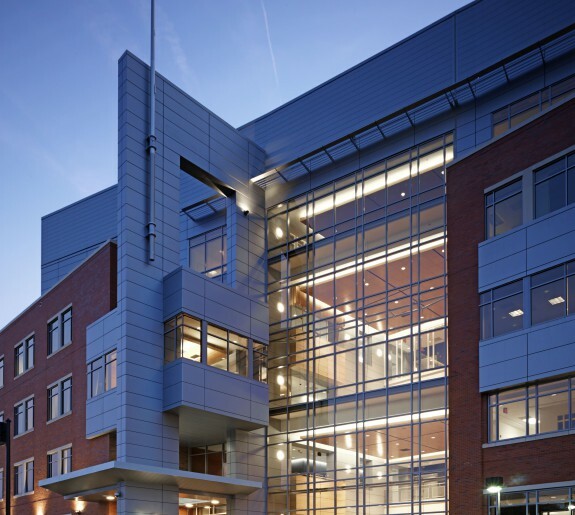 The Nursing Department is housed in this two-story facility composed of offices and administrative support space, meeting rooms, seminar and group study spaces and a faculty/staff collaboration room. 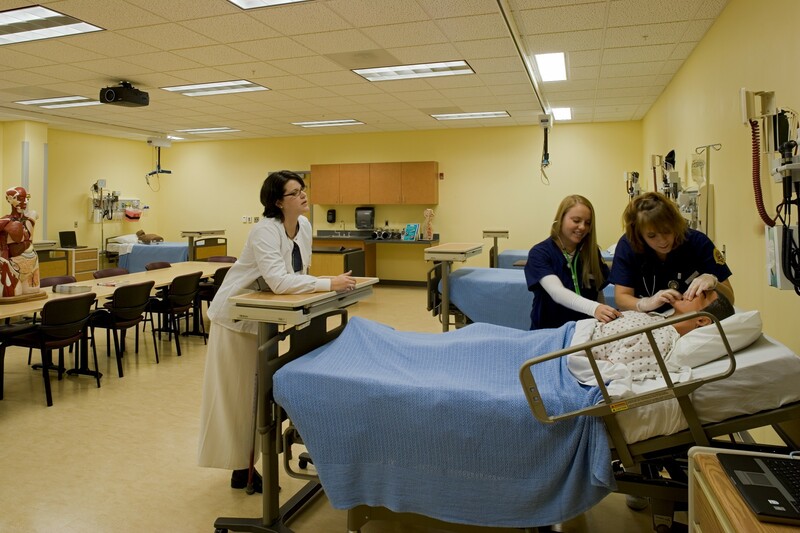 Simulation laboratories on the second floor include those for acute care, critical care, maternity/childbirth and independent living. 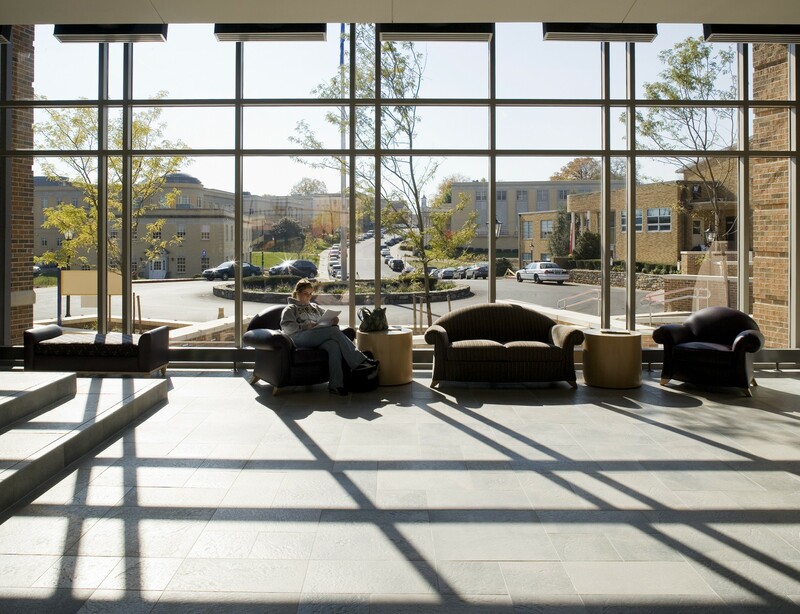 The Design Collective team worked with the Shepherd Nursing Department Chair and faculty to understand their curriculum and program and design spaces that fit the current curriculum as well as looked to the future with flexibility and changing pedagogies in mind. 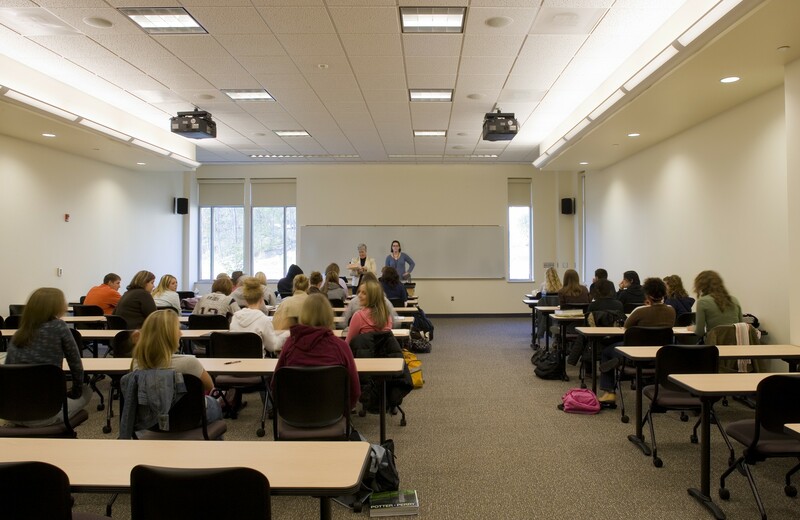 Classrooms are large enough to accommodate tables and chairs or tablet arm seating, with varying numbers of students. 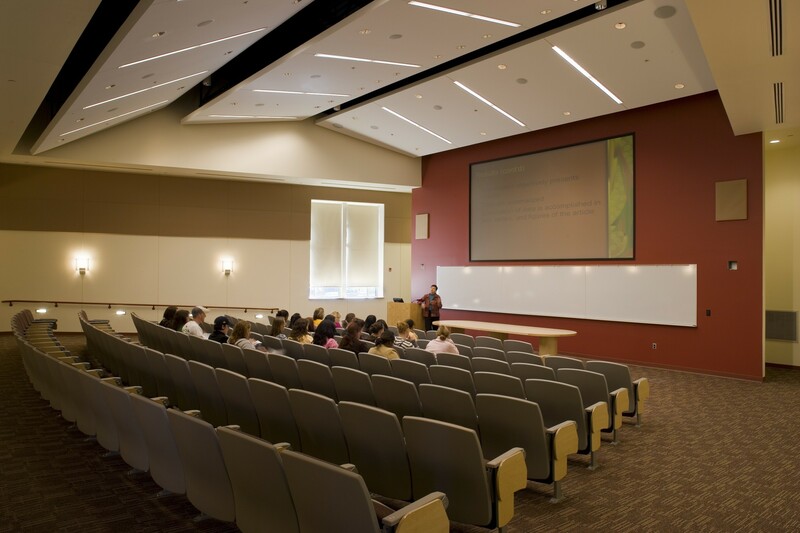 Educational technology systems are robust enough to allow for differing presentation techniques. 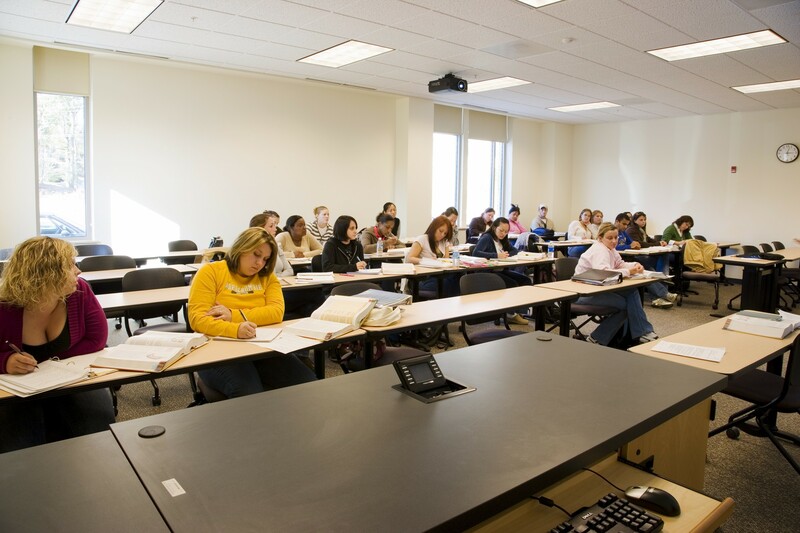 Small group work and small seminar learning are accommodated in eight-seat seminar rooms spread throughout the building. 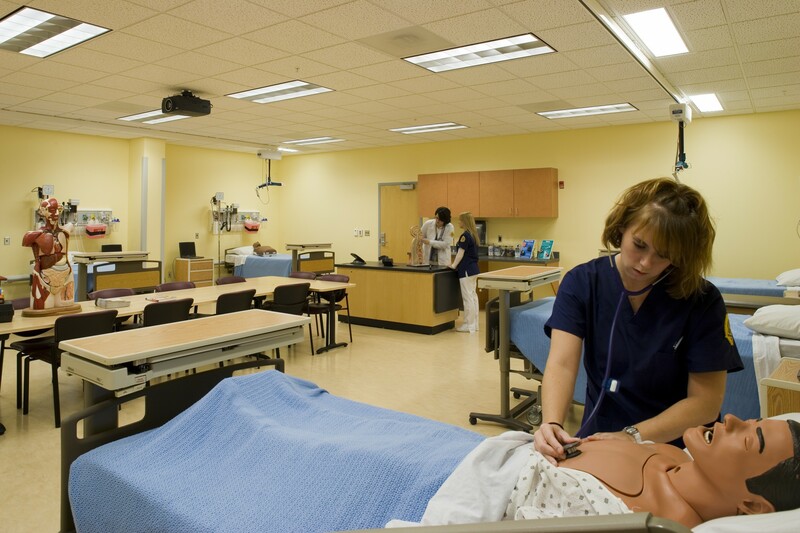 Nursing simulation is handled in a large Medical Technology simulation lab, an Intensive Care simulation lab, a Neonatal simulation lab and a home health care simulation lab. 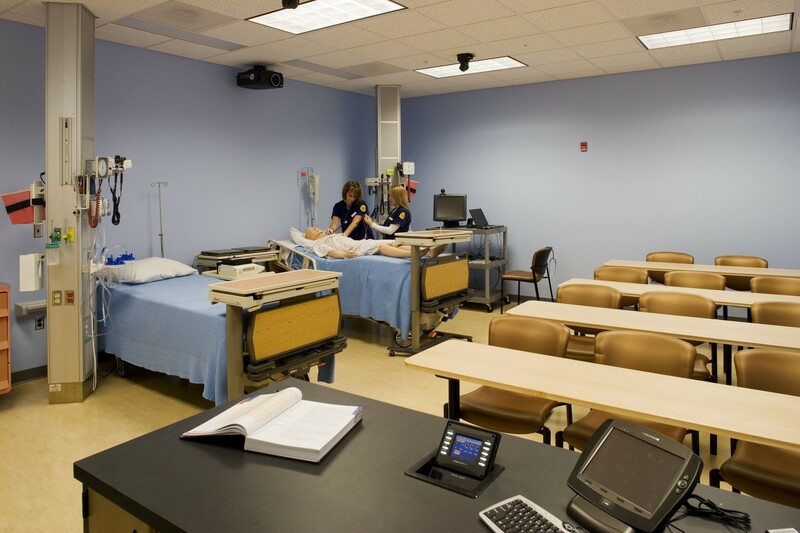 Each of these simulation labs were fit out specifically for the particular nursing environment considered, but also left robust enough to allow for future flexibility. 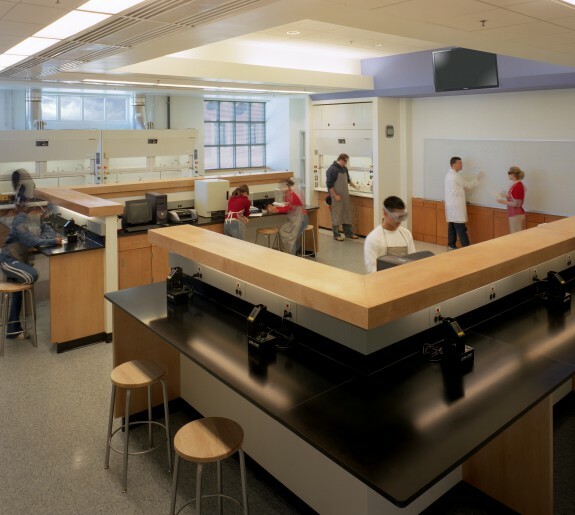 All of these spaces are combined in a plan that allows for small groups to congregate in different spaces for the learning and collaboration to continue outside of the classroom or simulation lab. 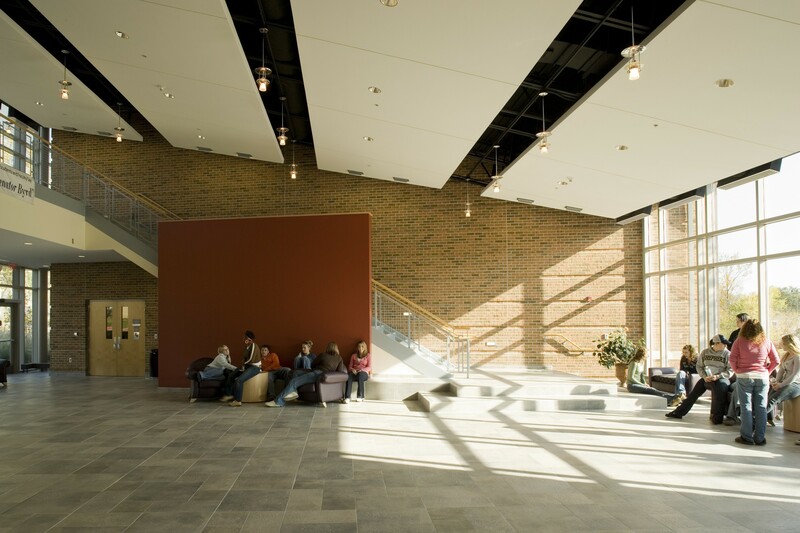 Academic spaces throughout were designed and furnished to provide maximum functional and technological flexibility so that needs of other academic departments can be accommodated. 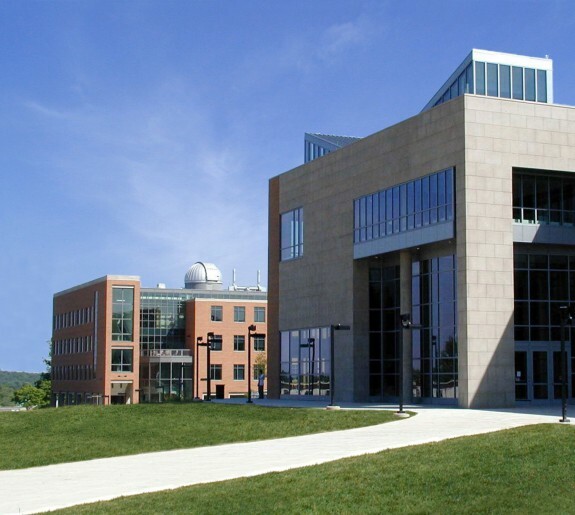 Located largely on the first floor, flexible-use spaces include a 120-seat lecture hall, five classrooms, a 30-seat computer lab and two seminar rooms. 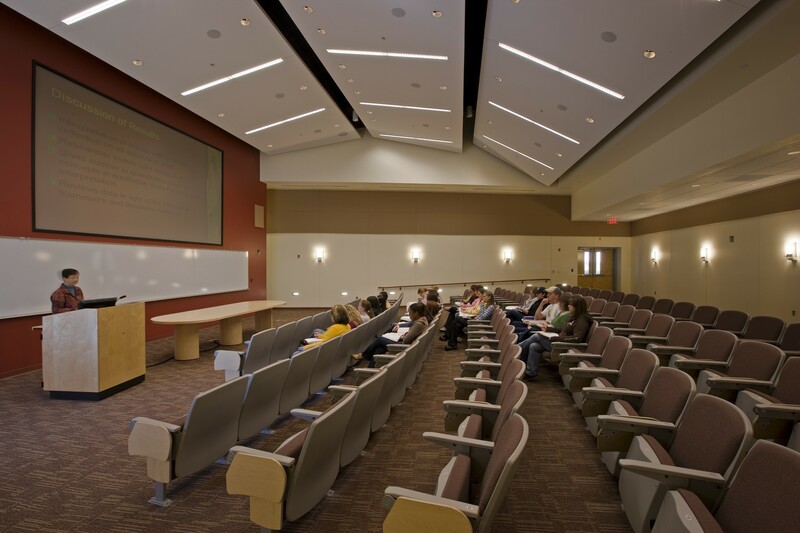 The lecture hall will be made available to the local community and other off-campus constituents. 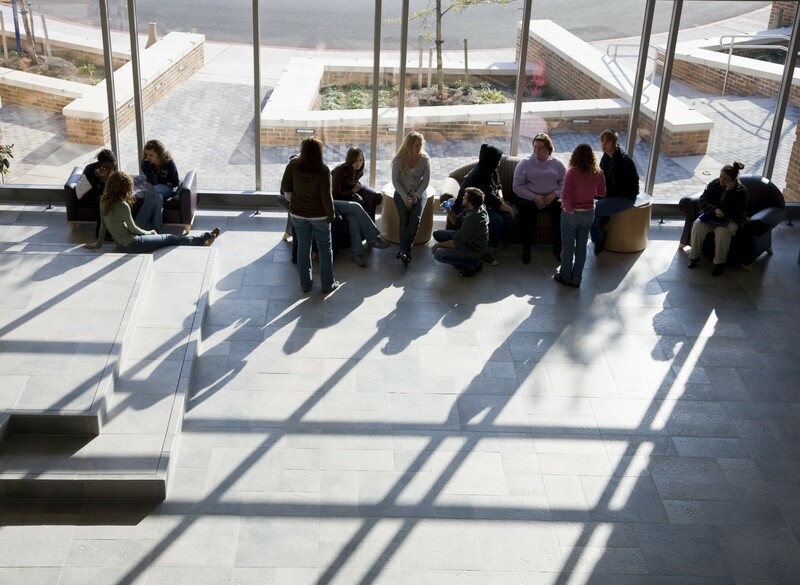 Thus, the building provides an adjacent canopied entrance and a light-filled reception lobby overlooking and accessible from a landscaped sculpture garden.